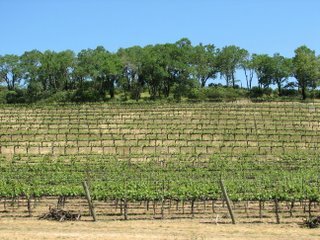 While we spent most of yesterday in Napa, today we spent most of the day in Sonoma. 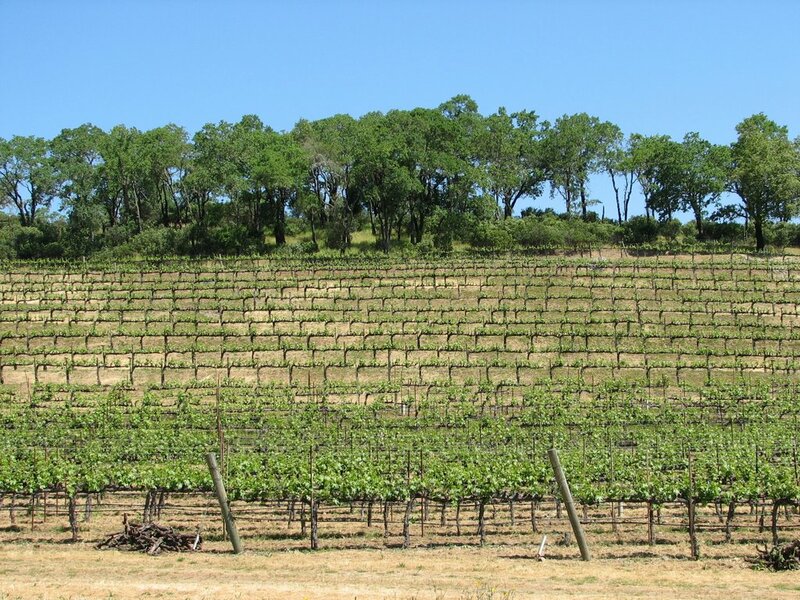 Specifically we were in the Russian River Valley and the Alexander Valley in northern Sonoma. We visited six wineries today and I'm not even sure at this point how many different wines we sampled. Doug says any day you drink before 10 a.m. is good, and that was definitely the case today. Our first stop was Silver Oak Winery, which is known for high-end cabs. We had some of the best cabs we've ever had. Doug was in heaven. Here is a photo of me sampling one of the cabs at 9:30 this morning. We actually ended the day in southern Sonoma at Chateau St. Jean. In between, we visited a winery owned by Robin William's brother, a winery that Francis Ford Coppola recently purchased and has yet to name, a winery where they used to grow and dry hops for beer making before turning to grapes, and a winery that made a really yummy petite syrah port. We actually bought some to bring home, as we can't get it in Austin. 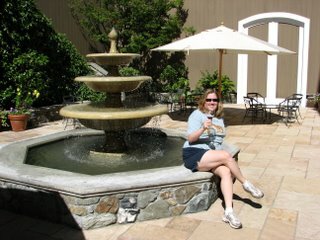 The other wine we bought to take home was the Sofia Blanc du Blanc from the Coppola winery. It is actually packaged in mini-cans -- perfect to ice down in the cooler by the pool. We had a fabulous dinner at the Glen Ellen Inn. We stumbled on it when restaurant we had planned on going to (from the book we have), just didn't have a very appetizing menu. I had a veal shank stuffed with carmelized onions and apples, and Doug had a ribeye with a merlot reduction. Not only was the food great, the atmosphere was relaxing and romantic. Doug said that with Silver Oak Winery and the Glen Ellen Inn, we had the perfect start and finish to the day. Tomorrow we are going to again start early, trying to see some more "must sees" before heading to San Francisco for the night. In the meantime, Doug is already mentally planning our second trip to Napa/Sonoma.